Life is about balance. Love the good the bad and the ugly and life will love you back. 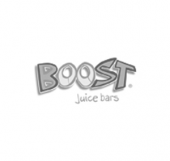 Boost have a range of juices and smoothies to help you get the most out of life. We don’t believe in calorie counting, just nutrition counting, and you can find out all about the good stuff we put in our smoothie and juices right here. We’ve got the facts about things that are good for you, including some very hard to pronounce type of antioxidants and some other fun facts that will make you smile.